Typical HVAC system has one thermostat on the first story and can't maintain temperature in whole house if system unbalanced. It allows to change balance between stories on the fly. If you uses second story only during night, why you should heat it during the day? So, it also allows to spend less for the heat. I didn't build it yet. But I have some components, knowledge and ideas. 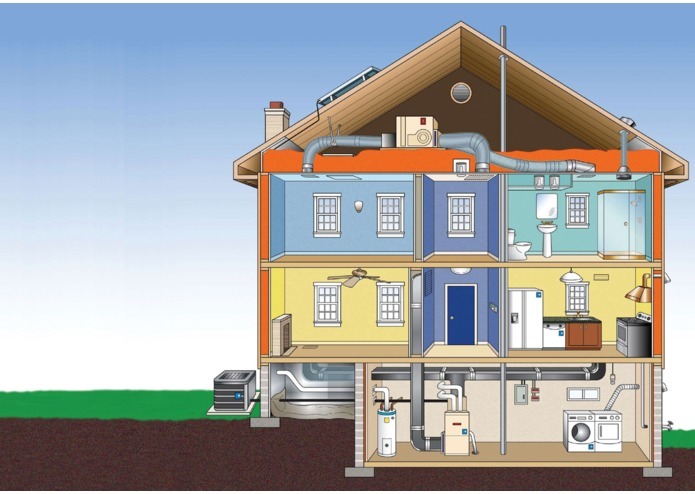 Modern HVAC system includes Heat Recovery Ventilator (HRV). It allows ventilate house and preserve some heat from dirt air by heat up fresh cold air. Because not all heat can be preserved, HRV should be turned on only for amount of fresh air that needed. System can be equipped with CO2 detectors which will be trigger HRV only when it really needed.